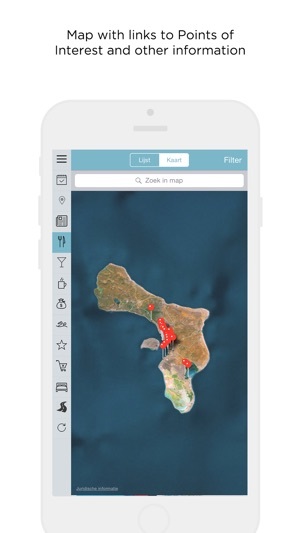 We are very pleased to serve all iOS users again with our totally new and updated BONAIRE APP. In the coming period we will surprise you with new updates, new features and personalized items about the island. 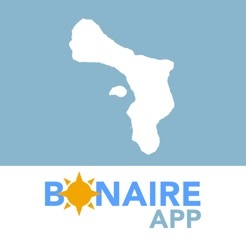 The BONAIRE APP will be your most complete mobile guide to the great caribbean island Bonaire. 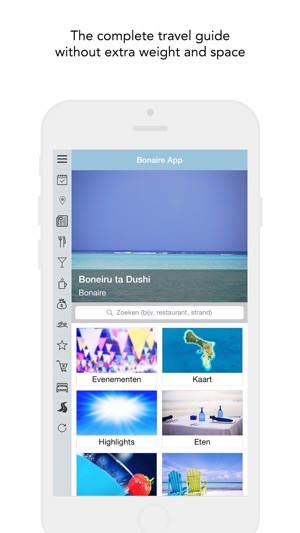 The Bonaire App is officially recognised and promoted by TCB (Tourism Corporation Bonaire) and BONHATA (Bonaire Hotel and Tourism Association). The design is user friendly with fresh caribbean elements and images.
. Going on holiday with a complete travel guide without extra weight and space.
. Works mainly OFFLINE, so you can save roaming charges.
. Interactive and zoomable MAP with links to Points of Interest and other information.
. 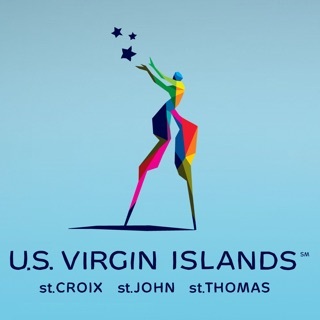 Basic information you need to know about the island like history, flora / fauna, music and transportation.
. 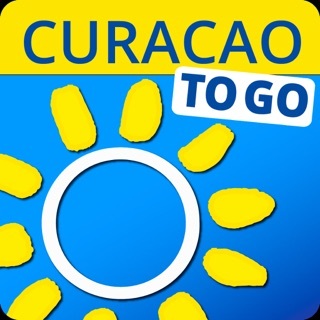 Topics such as of course Diving, Restaurants, Accommodations, Shops, Happy Hours, Events, Diving Schools, Beaches, Indoor and Outdoor activities and activities with children, Car Rentals, WiFi spots, Gas stations, Important phone numbers and even Wheelchair friendly places are all inclusive.
. AUGMENTED REALITY makes it easy to find the closest items around you without consulting a map, because they appear on the screen. Like you’re taking a picture.
. The App has surprising new information and facts. 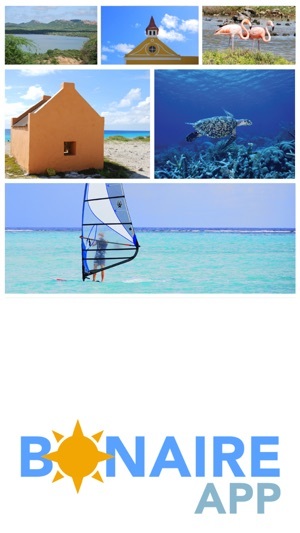 The category TIPS BY LOCALS for example, where premises itself reveal their most special places or experiences of the island, and tell what not to miss on Bonaire.
. Possibilities to Share your experiences directly on Facebook or Twitter.
. 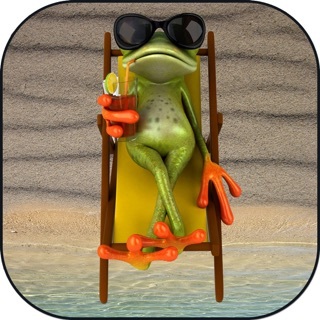 The App is available in the languages ​​DUTCH and ENGLISH.
. 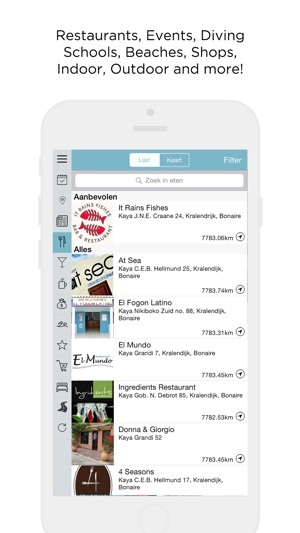 The App has digital COUPONS with different actions. The coupons will automatically refer to the information of the concerning party. Because the coupons are digital, you always carry them with you. The latest version is crashing on launch on my iPhone 6+ running iOS 9.2.1.